Singer-songwriter Eddie Brett returns with his debut solo EP, He Does Want He Wants. Cast your mind back a few years and you may remember this face as part of indie pop trio Loveable Rogues, who placed fourth on Britain's Got Talent in 2012. Side note: We don't want to brag but what with HD being ahead of the game, we actually knew the band before this, seeing them for the first time at a Twenty Twenty gig in August 2011. After five fulfilling years including numerous gigs and tours across the UK and the success of a Top 10 hit with debut single What A Night, the group parted ways shortly after the release of their album This and That. Now, guitarist and singer Eddie has jumped into a solo career, bringing his own creativity and sound into the foreground. The five-track EP begins with Lady In Red, and it becomes instantly noticeable that Eddie has moved in a new direction, opting for a more sombre blues tone with his opener. His natural flair for spoken word and poetry is showcased from the off, for although the vocalist can clearly sing, it's more about what he says rather than his ability to hold a tune here. Next song Daniella is slightly more uptempo with clapping rhythm and acoustic guitar giving it a folky feel. Again, the track is lyrically strong, going through letter-by-letter to spell out the name of the girl that the song has been written about. Darling slows the pace with the singer uses a simple guitar and vocal set-up to as he tries to win back an ex-lover. Penultimate track The City Don't Like Us is a kind of urban folk that seems to just exude Eddie's carefree joy at being able to move musically in any way he wishes. Despite this, out of all tracks on the record, this one is admittedly the most reminiscent of Loveable Rogues' material. The EP closes with a live demo version of You Knock Me Down as Eddie displays that his raw vocal talent lives up to anything a studio can produce. 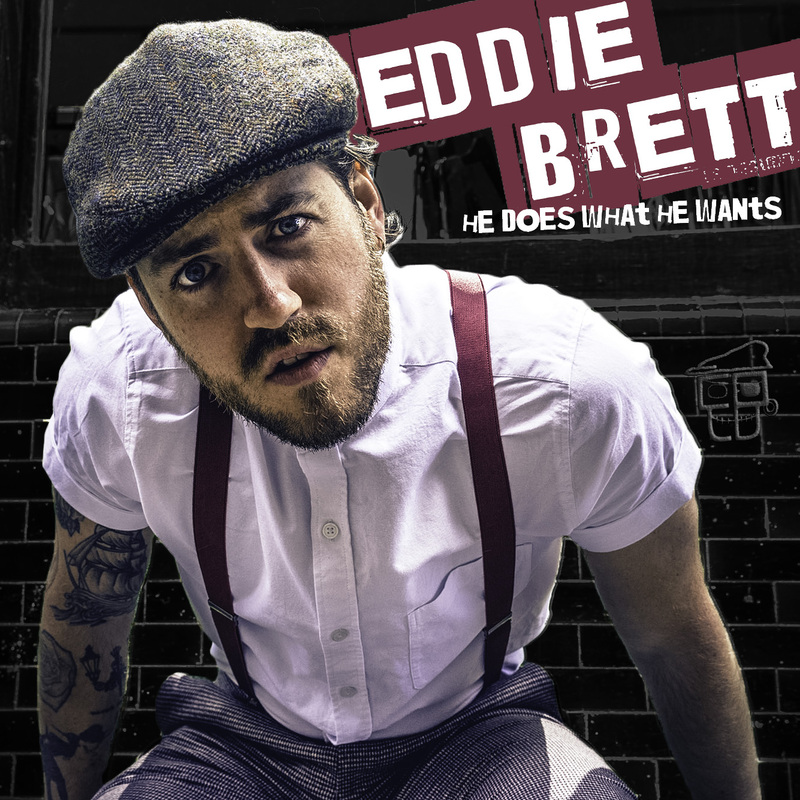 As a solo artist, Eddie proves with He Does What He Wants that aiming to be commercially successful isn't always the way forward. With no music label or fellow bandmates to listen to, he's able to make everything sound exactly as he wants it. It's got the shell of Loveable Rogues but it's 'more grit, less polish' and has certainly wet our appetites for more. Check out the video for The City Don't Like Us below! You can download He Does What He Wants here.